Our recent visit to Seville in southern Spain to celebrate my brother’s 40th birthday rewarded us with a generous dose of sunshine, culture and tapas! We love Seville because it’s far less expensive than Madrid and Barcelona so it’s possible to be a lot more indulgent. We stayed at Corral del Rey, a 17th-century palacio turned boutique hotel, filled with original artwork in the heart of the ancient Alfalfa district. 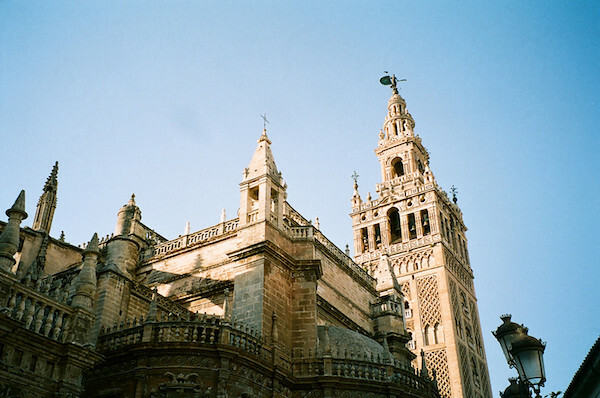 Tapas and sunshine aside, Seville is the cultural heart of southern Spain. 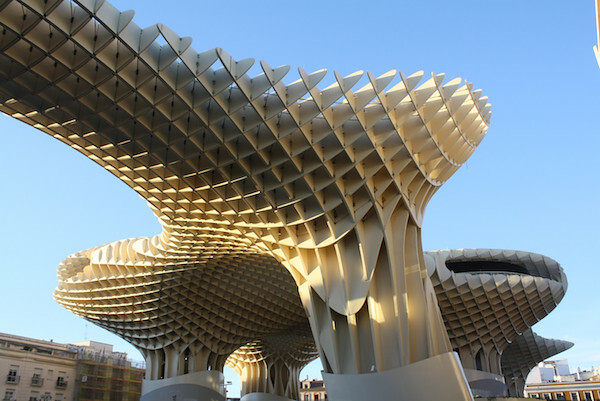 With that in mind, here are Seville’s essential cultural attractions. 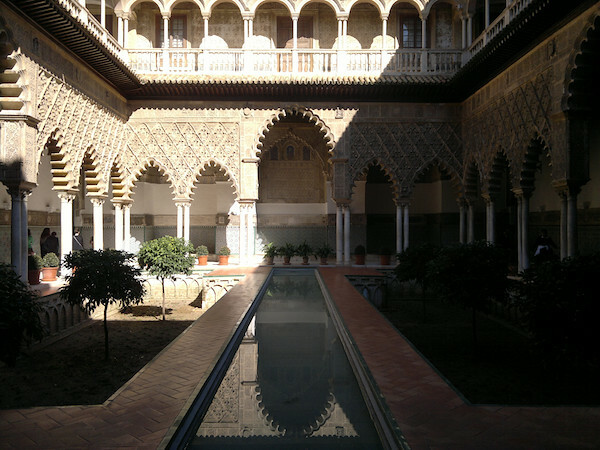 Seville’s royal palace is a UNESCO world heritage site and the oldest still in use as a royal residence in Europe. The Royal Alcazar was built in the tenth century as a Moorish fort. With its combination of Islamic, Gothic and Baroque architecture, magnificent gardens and colourful tiles throughout, this palace should be the first stop on any visit to Seville. Right beside Alcazar, the largest Gothic building and fourth largest church in the world contains the tomb of Christopher Columbus. The other main attraction inside is the golden altarpiece, also the largest in the world, with 36 golden panels depicting scenes from the old testament. Like Alcazar, the Cathedral is a world heritage site. A former 16th-century monastery which became a ceramics and tile factory in the 19th century, the Centre of Contemporary Art houses Seville’s modern art museum with regularly changing exhibitions. The buildings perched on the other side of the river are alone worth a look. 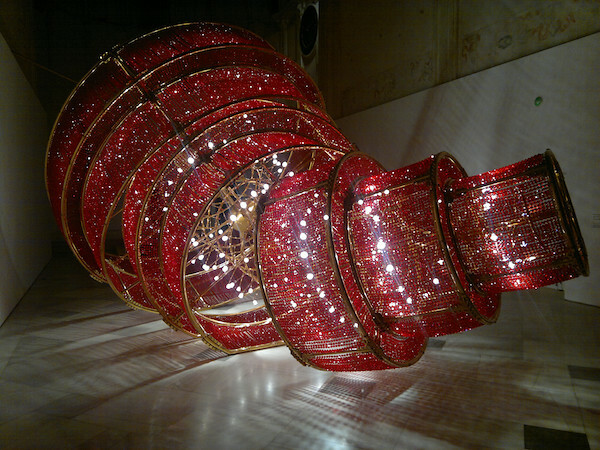 When we visited, of the four exhibitions on show, the highlight was a giant red glass chandelier sprawled across the floor by Ai Weiwei (on until June 2013). German artist turned architect Jurgen Mayer H. spent 90 million euros and ran well over schedule to create the world’s largest wooden structure. And the Parasol, so named for it’s five umbrella-like pieces, is astonishing to view from any angle. Be sure to take the elevator to the top where there are walkways, a cafe and breathtaking views of Seville’s white rooftops and miles around. The museum of flamenco behind our hotel was recommended but we opted for the more informal, riotous La Carboneria on one of the labyrinthine back streets. A trio consisting of a flamenco dancer, guitarist and singer kept us entertained in a cavernous bar. After the main act, one of the waitresses jumped onto another stage for an impromptu but very professional looking flamenco dance session. 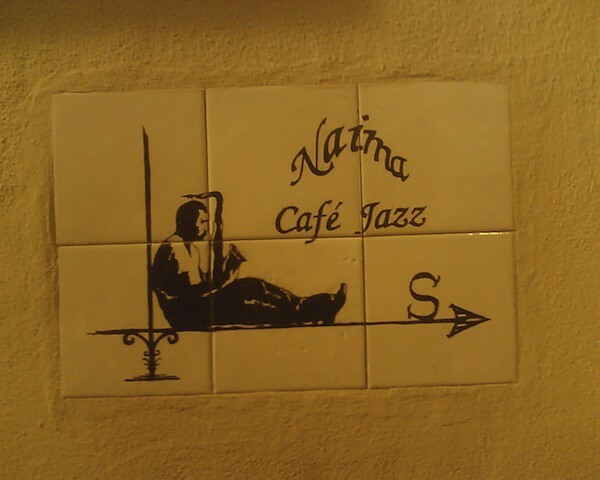 And for nightly live music in a more intimate setting, we loved Cafe Jazz Naima just south of La Alameda. This post was written by Downtown Traveler’s London correspondent, Joanne Shurvell, with photos by Paul Allen. If you would like to contribute to Downtown Traveler, please visit our “Contacts” page. Seriously. I can’t wait to visit Seville! This is why bucket lists are silly. By the time you’re “done” they’ve built something else worth visiting again, like the Metropol. They’ve got a crafty tourism board if they’re just going to build something new every half decade. Oh how I dream of España!!!! Love this! Just spent a week in Seville for Semana Santa. Chaos, but I love Seville. But now I have to go back for the Center of Contemporary Art. Jeff, you should definitely go back to see the CCA in Seville. The buildings and setting alone are worth a visit and if the Ai Weiwei show is still on, even more reason! Beautiful! Especially the Metropol Parasol. Seville is fabulous, I´m so lucky to have it and many other superb sites on my doorstep. Seville is a great city! Next time come see us in Barcelona!